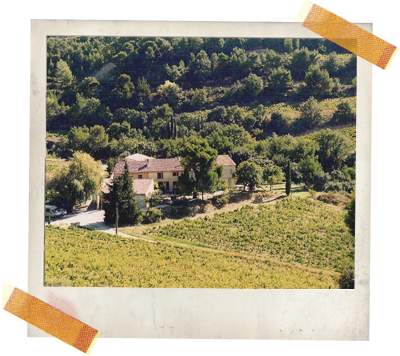 A superb estate based at the top end of Vacqueyras, the estate is surrounded on three sides by the more famous Gigondas. Using a blend of Grenache and Syrah, owner Henri Bungener, has worked non-stop to improve his wines. From sourcing superb oak barrels to micro-fermentaions to create a flavour map of his vineyard, Henri is always looking for ways to bring the best out of his magnificent soils. With the addition of his new labels, Henri’s wines now look the part as well as tasting it! You can taste the passion in this fabulously earthy Rhône red. A powerful liquorice-scented red. Spicy Syrah delivers abundant fruits and a weighty palate that carries the flavour for what seems like an eternity. Will age magnificently. Spirited and delicious red that will thank you to be drunk with food. Herbal, mulberry-flavoured red that’s won a heap of medals and praise from some of the world’s leading wine critics. It`s very concentrated with more than its fair share of cassis-soaked fruits. Opulent and delicious.